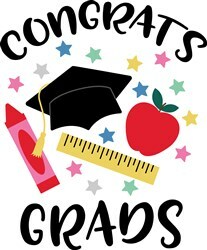 Graduation is a great accomplishment whether it's kindergarten or high school! This adorable design would be perfect on a little gown, dress or back pack! 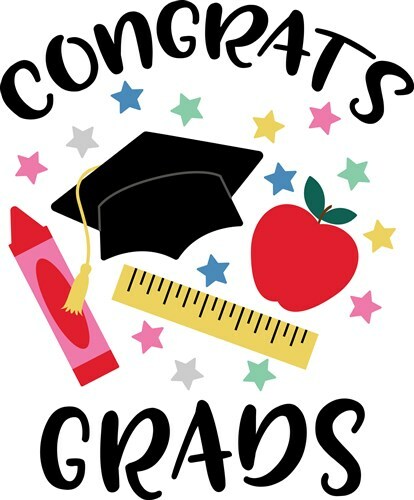 Congrats Grads print ready artwork by Hopscotch which is available in Graphic Art and ready for your heat press or direct to garment printer. To see more print ready heat press artwork please visit our Print Art section and search our entire collection of print ready artwork.